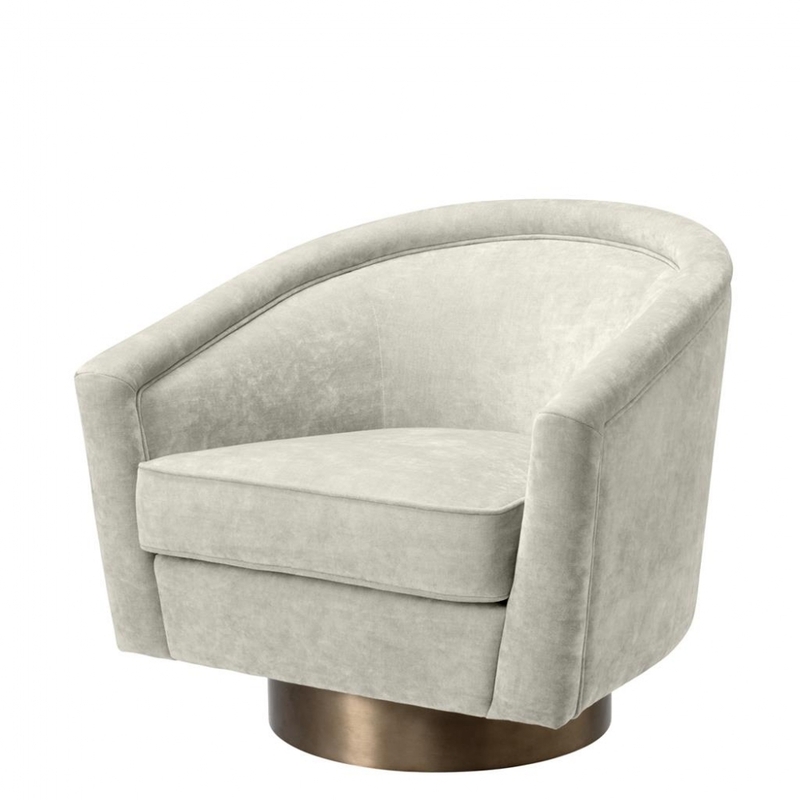 With exquisitely crafted, piped detailing and a smart brushed gold swivel base, the Catene Swivel Chair is an inspired take on a classic luxury chair design. Available in either plush Clarck Grey or Clarck Sand fabric finishes, the Catene Swivel Chair will effortlessly enhance a range of traditional or contemporary interiors. Style in a hotel lobby or bar with gold accented accessories and mirrors for an opulent, 1930’s look or add to an elegant, modern office or home study as a stylish and practical desk chair. Mix both colour options together to create a fresh look in a period boutique hotel foyer or restaurant waiting area or create an intimate seating space with just two or three Catene Swivel Chairs casually grouped around a glass topped coffee table. For further details of our extensive directory of Eichholtz luxury homewares and other, similarly high quality interior brands why not contact our interior design team who can offer expert advice and inspiration to help you create your perfect interior.